This past week, in Commonwealth v. Overmyer and Commonwealth v. Craan, the Supreme Judicial Court ruled that the smell of unburnt marijuana alone is not enough to establish probable cause to search a car. The facts of the cases are as follows: Overmyer was in a car accident in Pittsfield and police responded to the scene. Upon arrival, officers noticed “a very strong odor of unburnt marijuana.” Police asked Overmyer if there was marijuana in the car and he told them that there was a bag of marijuana in the glove compartment. There was no specific information indicating that the bag contained more than an ounce of marijuana. The police believed that Overmyer had more marijuana and proceeded to search his car. Officers found a backpack with marijuana in the back of the vehicle. As a result of the additional marijuana found in the backpack, the police charged Overmyer with possession with intent to distribute a class D substance (marijuana). Craan was stopped in Dorchester in 2010 by Massachusetts State Police operating a sobriety checkpoint. The trooper involved in the stop smelled unburnt marijuana and asked Craan about it. Craan showed the trooper a bag of less than ounce of marijuana in the glove box. The trooper then ordered Craan out of the car and subsequently searched it. As a result of the search, the trooper located three Ecstasy pills and .38-caliber ammunition inside the car. Craan was charged with possession with intent to distribute a class D substance (marijuana), possession of a class B substance (ecstasy), and possession of ammunition. Both Overmyer and Craan filed motions to suppress, arguing that the smell of unburnt marijuana alone did not provide a sufficient basis for a search of their respective vehicles because possession of less than an ounce of marijuana is not a crime in Massachusetts, and there was no indication that either were in possession of a criminal amount of the drug. 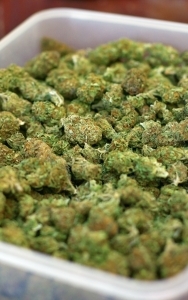 Police have often used the smell of marijuana as a basis for a more extensive search. Now that the Overmyer and Craan cases have been decided, the police can no longer use the smell of burnt or unburnt marijuana alone as the basis to search people or vehicles. If you or a loved one was searched because the police claimed that they smelled burnt or unburnt marijuana, you will need a defense attorney to make sure that the police do not use illegally obtained evidence against you. Attorney Daniel Cappetta is an experienced attorney who will make sure that your rights are protected. Call him for a free consultation today.